This level has medium difficulty. 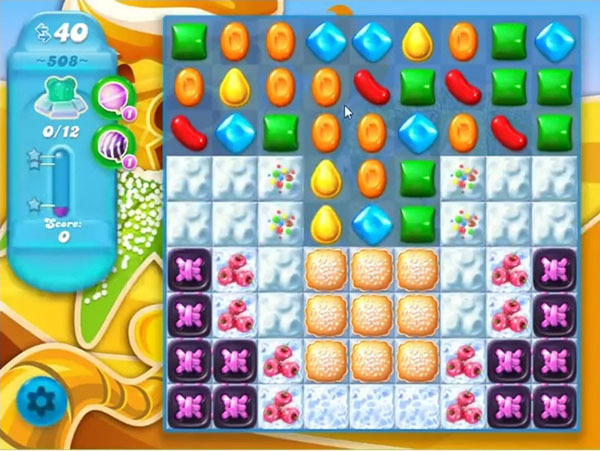 For this level try to play from bottom part of the board where more candies available to play and make special candies. Combine special candies with each other to break more snow and blockers or play near to them to break them to find the bear. I’ve been on level 508 for two weeks and it stops and goes blank. Is there a bug in the program. Another stupid and impossible level. I get through nearly all moves and not 1 bear found – IMPOSSIBLE!!!!! This is another stupid level, impossible. I get almost through and not one bear found. I don’t know how they expect people to get through these levels sometimes…dumb!! !